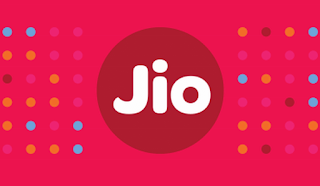 JIO has launched its 4G services with a preview offer of three months free service till 31 Dec 16. You need to have 4G and VoLTE enabled the smartphone to avail this offer. JIO will be providing lowest 4G Data plans across the country after its preview offer. This firm has already launched many smartphones named LYF. Further, LYF comes with Models like Flame, Wind, Water, and Earth ranging from Rs 3000 to Rs 25000. JIO will provide 4G services with three different bands: Band 5 (850Mhz), Band 3 (1800Mhz) and Band 40 (2300Mhz). Before use to JIO 4G services make sure your device supports at least two bands – 2300Mhz and 1800Mhz or 850Mhz. VoLTE is Voice over WiFi. It means you can make HD voice calling over 4G Network. The quality of your voice will be clear and better. For that, your device must support VolTE feature to make these HD voice calls. VoWiFi is the voice over WiFi. You can continue calling with HD Voice calls over WiFi if 4G cellular network is weak, with your JIO services. The process of switching between VoLTE & VoWiFi will be in the background without any disruption while running HD Voice calls. How to check whether your smartphone supports VoLTE or not? To check VoLTE in your smartphone insert JIO SIM and wait for the network to come. You will see VoLTE sign above mobile tower icon on upper left/right corner of the screen if your smartphone supports. You may get LTE HD calls.